Hot on the heels of successful partnerships with RSPB and Diary of a Wimpy Kid, Eurotunnel once again engaged Bedrock to create an interactive experience in their Folkestone terminal, to send their younger passengers off on their travels with a smile on their face. And what do all kids love? Toys! 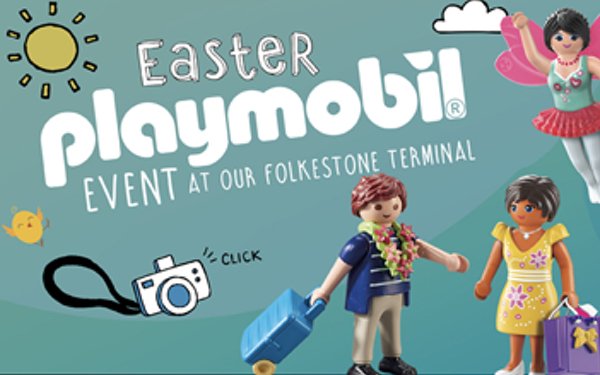 So who better than Playmobil, one of the world’s most iconic toy brands, to bring some magic into the terminal? The Playmobil play haven gave kids the chance to let their imaginations run wild – to help brave knights protect medieval castles from angry dragons, guide Roman warrior ships through stormy seas, feed their favourite farmyard animals, peek inside the Pharaoh’s Pyramid and much much more. With Playmobil’s 123 range available for younger kids and the amazing Porsche 911 Targa S on site, which even a few parents took for a spin, there was something for everyone to enjoy. For the young artists, there were also outlines of Playmobil’s most popular sets to colour in and bring to life! To celebrate, Playmobil gave away bundles of their most popular toys to lucky winners of some great competitions. Entrants had to guess how many toys were in the giant see-through Playmobil figure, take a photo of themselves in the Playmobil face board and count how many times they could spot the dog in the special stop motion video created. And with a social reach of 320k, the stop motion video ensured that the partnership was enjoyed by far more than just those passing through the Folkestone terminal.